A recent development on the crime scene is the ram raid. Fast, easy, low risk and highly lucrative, this crime tool helps crime professionals steal standalone ATM machines and target most speciality stores. Ram raids can result in lengthy insurance claims, mess and damage to stock as well as loss in trading and poor public perception. 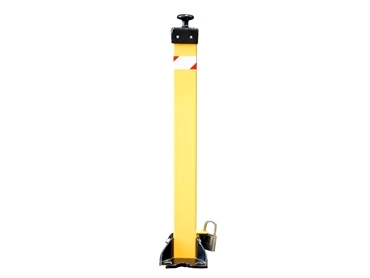 A visual deterrent such as a bollard from Australian Warehouse Solutions may well save businesses from becoming a target. AWS bollards are available in a range of styles including fixed bollards, removable bollards, parking protector bollards and stainless steel bollards. All bollards are made of sturdy steel and built to last. The versatile choice of models ensures there is a bollard for specific applications. AWS offers site assessment, installation, cable detection and after hours install services. Installation can be done on all surfaces including concrete, brick pavers, tile and ground.